Excitement about buying your first home can quickly turn into impatience when the wait seems to go on forever. Just how long does it take to buy a house? Everyone will give you a different answer. You will most often hear that it takes 30 to 45 days. Here we will discuss what to expect with each step - and explain why it could take you much longer to get the keys to your dream home. When you know what to expect, you will feel more confident when you're ready to make this big purchase. The 30- to 45-day window is possible but unlikely. In reality, that clock starts after you sign the real estate contract. It doesn't account for all the steps you have to go through long before you ever sign on the dotted line. First, you need money. If you don't have any saved, it could be years before you purchase a house. Not sure how much you need? Check out our article "How Much Money do I Need to Buy a House?" 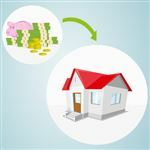 Once you have the money saved, then you can consider how long it takes to buy a house. Many people play a role in the home buying process, and they all take time to research, find, and form a relationship with. It's not just you and the sellers. You also have the realtor and lender. Don't forget about appraisers, inspectors, attorneys, and closing agents too. Here we will look at the most influential people in the process. Lender: Unless you pay cash for a home, you need a lender. Choose yours wisely, as they could make or break your purchase. You want a lender with experience in the type of loan you need. For example, FHA financing has its own nuances. Using a lender that does not understand this loan type could hinder the process. Your purchase contract will likely have an expiration date regarding when you need to secure financing. If you pass that date, you stand to lose the home, so take your time when choosing a lender. Real estate agent: Shopping for the right real estate agent is as important as finding the right lender. The right agent understands the type of home you want, your specific budget, and the type of financing you'll likely get. Finding the right agent takes time. How much time depends on what you want. For example, if you need to find a home fast, you need a fast-acting agent. If you prefer to see every available home for the next 3 months, you need a patient agent. Ask for referrals and interview the agents as if they are taking on a job. Sellers: The sellers hold a lot of power here. They could hold up the process by countering your offer or outright rejecting yours in favor of something better. 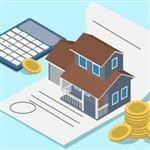 They may try to wait out the 24- or 48-hour deadline you give them to carefully weigh your terms (like your chosen closing date, earnest money deposit or financing terms). Then, if they do give the go-ahead, they control the speed of the appraisal and inspections since they provide access to the home. Appraisers: Appraisers have two roles in the home purchasing process. Most importantly, they determine the value of the home. This helps you and the lender. The lender won't give you financing if the home is not worth enough. It protects your investment too, though, so this is a good thing - you probably don't want to pay more for a home than it is worth. The appraiser also helps you understand the condition of the home. If there are health or safety issues, the report will let you know. Inspector: Home inspections are not a requirement, but they are highly recommended. It costs you a few hundred dollars, but you learn more about the condition of the home. The inspector goes deeper than appraisers to look for defects that could affect your investment - and what gets found could lead you to delay the process even more by adding conditions to the negotiations. Tip: Not sure what closing date, earnest money, or financing terms means? Check out our article "How to Buy Your First Home" to learn all about these terms. Find a lender. Talk with several until you find one you like. 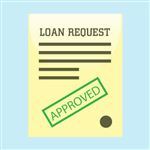 You can secure a preapproval from a few lenders if you want. This way you know your budget. You already know how much money you have to put down on the home. The lender tells you how much you can borrow. From there, you can determine what you may purchase. Most preapprovals last for no more than 90 days. Don't do this step prematurely or you may run out of time. It could take you as little as one day to find a lender or a couple of weeks (even longer if it turns out your finances can't quite handle a mortgage right now). Find a real estate agent. You will work closely with this person when picking out a home. Unless you find a home for sale by the owners, you need a real estate agent to gain access to the homes for sale. Even though you can find most of the real estate listings on your own, agents usually know first. You want a go-getter who will let you know when a home that fits your parameters is fresh on the market. Finding an agent could take you a day or may take a while as you do your research. Start shopping for a home. Now the fun begins. You can start looking at homes. You have your budget and you should have an idea of what you want. You may look at five homes or hundreds of homes. Every person differs in what they prefer. Don't get discouraged if you don't find what you like right away. You might find something the first weekend of open houses, or it may take you a year to confidently make your first offer. Bid on a home and sign a sales contract. This is probably the most nerve-wracking part. You submit your official bid in written form and then just wait. The seller will look over all bids received and determine which one is right. If they don't accept your bid, they may counter-offer with a different bid. You then have time to consider the offer and whether you want to accept it. Your agent will work with you to decide whether to give the sellers 24 or 48 hours to initially respond to your offer - any back-and-forth probably shouldn't take longer than a week. Get the home inspected. Usually you'd request the sellers give you access within two weeks or so of the offer so that you can get an idea if anything is amiss that you didn't already take into account. If something is uncovered (e.g., termite damage or a failing roof), then you may be able to get the price lowered or the problem fixed before you move in. The actual inspection takes around three hours, but scheduling it can take some time. Secure final approval for your financing. Once you have an executed sales contract, you need final approval on your loan. If you went through the preapproval steps, this step can go quicker. The underwriter will review your financial documents again. You may be asked for additional documents, and you'll have to wait through further reviews. The bank decides whether the home is worth enough for the loan program you need. Once the underwriter clears all conditions, you have final approval. The entire process for a conventional loan takes at least 30 days - but you could shrink that if you were preapproved). Close on your home. This is when you sign the necessary loan documents and money trades hands. The seller receives payment and you become the proud owner of a new home. This can take about an hour or longer to get everything ironed out that last day. There are many things that may go wrong during the home purchasing process that can stretch out the amount of time it takes to make the house yours or stop the deal altogether. Finding the right lender: Sometimes this is the hardest part. If you have a low credit score, many debts, or unstable income, you may talk to many lenders before you find one. Even if you have no problem getting approved, you should compare interest rates and terms before deciding. This could take a few weeks. Finding a home: Sometimes the real estate market is hot and other times it isn't. You cannot predict when you will find the right home. Anticipate the home search taking at least a month or two. The more work you put into it, the faster it will go if it's a good time of year and lots of houses are on the market. If you rely solely on your realtor, it may take longer to find the right home. Negotiating with the seller: Going back and forth with a seller could take days or weeks, depending on the situation. If there are multiple offers on the home, you may be in a bidding war. This could make the process last longer. You can't secure final approval on your loan until you have a signed sales contract. Appraisal issues: Bidding on a home is sometimes a guessing game. You or your realtor should do research to determine the estimated value of the home. You then bid accordingly. Sometimes the amount sellers ask for a home does not equal the value. If you don't find this out until the appraisal report comes back, you may have to start over. This could be a week or two after you sign the contract. If the seller won't reduce the selling price, you may not have a loan. The only way to save it is to put the difference between the sales price and the appraised value down in cash. This isn't an option for everyone. 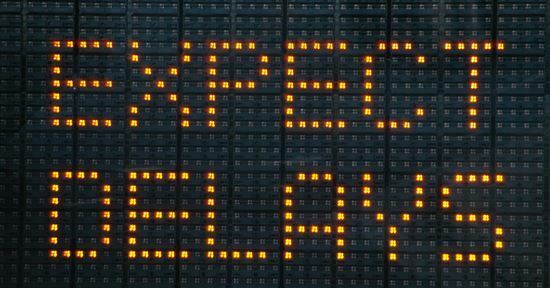 Underwriting issues: Even when you provide the necessary documents right away, issues come up. When underwriters find an issue, they must resolve it. This may mean asking for more paperwork from you. The underwriter may also have to do some research on his own. Either way, it adds to the time it takes to close on your home loan. How much time it takes to buy a home depends on many factors, as you can see. Doing as much work as possible ahead of time helps the process go faster. In a perfect world, you could find and close on your home purchase within 45 days. In reality, it usually takes longer. Have patience and do your homework. Take your time finding the right professionals. The right real estate agent and lender will help things move much faster. Share on Facebook "How Long Does It Take to Buy a House?"